Taurus natives need to take care of their health in 2019. If you fail to do so, your condition is likely to deteriorate. You may have to face serious health issues from March to May 2019. Ganesha advises you to take necessary measures to ensure good health. In case you fall victim to any health ailment, you should visit your doctor immediately. The first half of the year will be rough for your health; hence you should be extra cautious from the beginning of January. You may lose your mental peace but yoga and meditation will save you from the shackles of chaos, says your Taurus health horoscope 2019. Consult a doctor and take the required medication required to improve your health. If you don’t get adequate amount of rest as well, the quality of your health is likely to deteriorate. When matters related to health and fitness is concerned, you have to be extra careful. 2019 Taurus predictions are very important for you this year. If you go according to the Taurus health and fitness horoscope 2019 you will be able to enjoy a healthy and happy life. If you get caught up with serious ailments, you will always have to stick to your bed and this won’t allow you to enjoy the beautiful experiences of life. Even if you are suffering from anything at present, go for regular check-ups so that the present situation doesn’t get aggravated as seen in Taurus health horoscope 2019. If you take proper measures towards your health, then only you will be able to maintain a healthy life in 2019. Stick to a healthy diet and avoid eating fast foods and oily food. You should take some time out of your busy schedule to give yourself some rest. Get adequate sleep and exercise regularly. Taurus sign people should not adapt a careless attitude towards health in 2019. Maintain proper health and hygiene during September and October. Mosquito-borne diseases like malaria and dengue, etc. may spread. You have to take extra care in order to avoid these diseases. 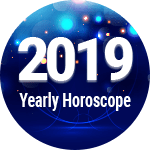 Taurus health horoscope 2019 predicts that during the last phase of the year, your health will get better and you will come back to your original self. You will need to make required changes in your lifestyle to make yourself healthier. Taurus are said to be very determined individuals, Taurus natives can achieve anything if they stick their mind to it. Go forward and achieve those fitness goals that you always wanted. Take proper precautions, do it at the right time and things will work for you pretty well as per health and fitness horoscope 2019 for Taurus. Control your food habits, adopt healthy eating habits. Eat to live and don’t live to eat. If you do this your weight also will be under control and will prevent health-related illness. 1. Be very careful and maintain a healthy diet. Avoid eating unwanted food that can be bad for your health, as per your Taurus health horoscope 2019. 2. You are likely to get a lot of health issues and ailments. So be very careful and take adequate medication and rest. 1. If you go work as per you Taurus health and fitness predictions, then you will see an improvement in your health. 2. This will enable you to remain healthy throughout this year. Taurus Health And Fitness Horoscope 2019 Overall rating: 4.3 out of 55 based on 1364 reviews.